The Fingertip Design 122mm Dimple Effect Curved Handle Satin Nickel is a popular design used in kitchens and bedrooms. This handle has a modern satin nickel finish. It would be suitable for all types of fitted or free standing furniture in residential situations and is simple to fit and maintain. 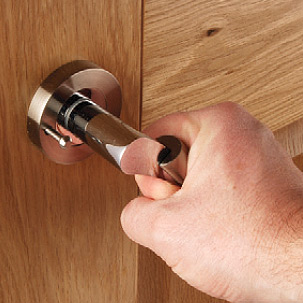 The Dimple Effect Curved Cupboard Handle is 122mm in length and has 96mm fixing centres. It is supplied with appropriate fixing screws.